It’s finally here. After months of rumors and speculation, Samsung has revealed the Galaxy Note 8 at an event in New York. So yeah, it’s basically a powered up S8+ with a stylus. But that’s okay – Samsung is the only major player still rocking the stylus on a flagship, and it’s a selling point for many users. As much as Android users like to complain about Samsung’s skin, its features really start to shine when the S-Pen is thrown in. 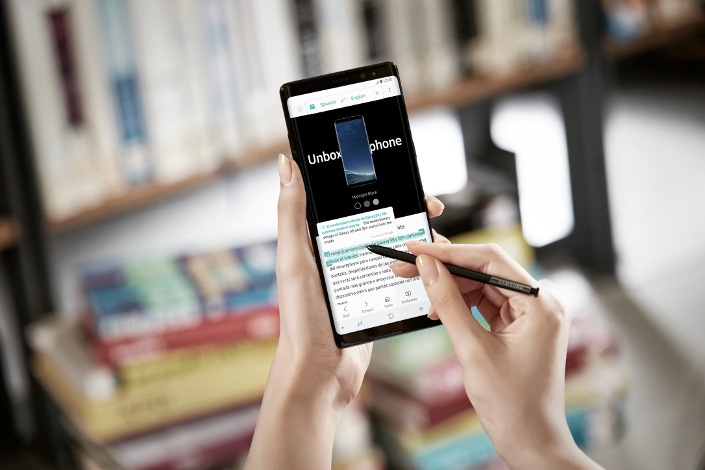 This is a phone for getting work done, so naturally Samsung has thrown in a few new features this time around, such as the ability to switch between apps with one tap from the edge panel, or automatically exchanging currencies selected with the S-Pen – you know, if you’re into that kind of thing. Hopefully the extra RAM will compensate for the added UI overhead. Then there’s the camera, which is Samsung’s first attempt at a dual-lens system. It takes the iOS approach of combining a normal and telephoto lens, which let’s you zoom into a scene with more clarity. As a nice touch, it’s the first dual-lens system where both lenses have optical image stabilization. As expected, it also lets you use the oh-so-popular background blurring pioneered by Huawei, though the verdict is still out on how well it actually works. At least Samsung lets you adjust the focus after the fact, unlike Apple. You won’t have to wait too long to get your hands on one – pre-orders begin tomorrow and the phone will officially arrive on September 15.